The makeover of Sunday NFL Countdown continues. After recently retired Pro Bowl corner Charles Woodson joined the ESPN set to replace a departing Keyshawn Johnson, another NFL player is reportedly making the move straight from the league to Bristol. That would be longtime veteran quarterback Matt Hasselbeck. The Big Lead reports Hasselbeck will be replacing Mike Ditka on the countdown set in a move that isn’t all that surprising considering Ditka is 76 and in the latter stages of his television career and his biggest contribution recently to ESPN has been tangents like this. TBL also reports Ditka will have an “emeritus” role at the network, which is also known as Whatever Happened To Bob Knight. ESPN confirmed Hasselbeck’s addition to Countdown on Wednesday, though the network didn’t make mention of Ditka’s status. 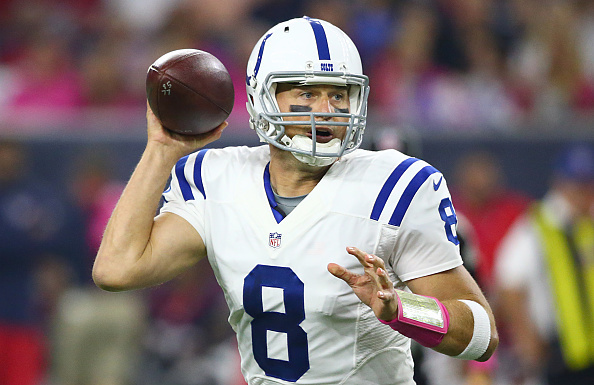 Hasselbeck, 40, spent last season filling in for Andrew Luck with the Colts and made 3 Pro Bowl appearances in his NFL career. You may know him as that other successful quarterback from the Class of 1998 along with Peyton Manning. Of course, the real headline here is that Matt Hasselbeck moves to ESPN to work alongside his brother Tim. The younger Hasselbeck (Tim is actually 3 years younger than Matt) has worked at ESPN since 2008 and you just wonder if there’s a bit of sibling rivalry there given Matt seems to immediately have leapfrogged him in the ESPN NFL analysts pecking order. You and I both know where this is going – a debate show. Hasselbeck vs Hasselbeck should debut on ESPN before the NFL season begins.